What's a quilter to do when they need to mark their fabric and the mark needs to come out? 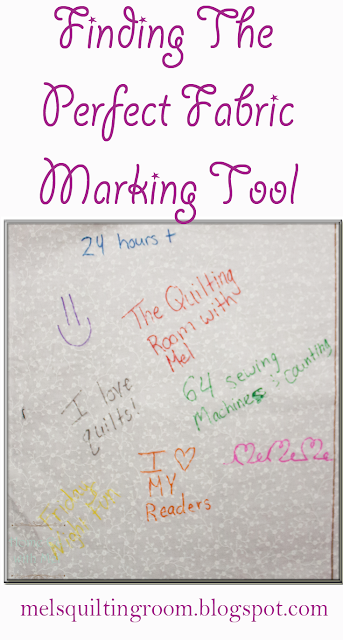 You start searching for the perfect fabric marking tool on the market. 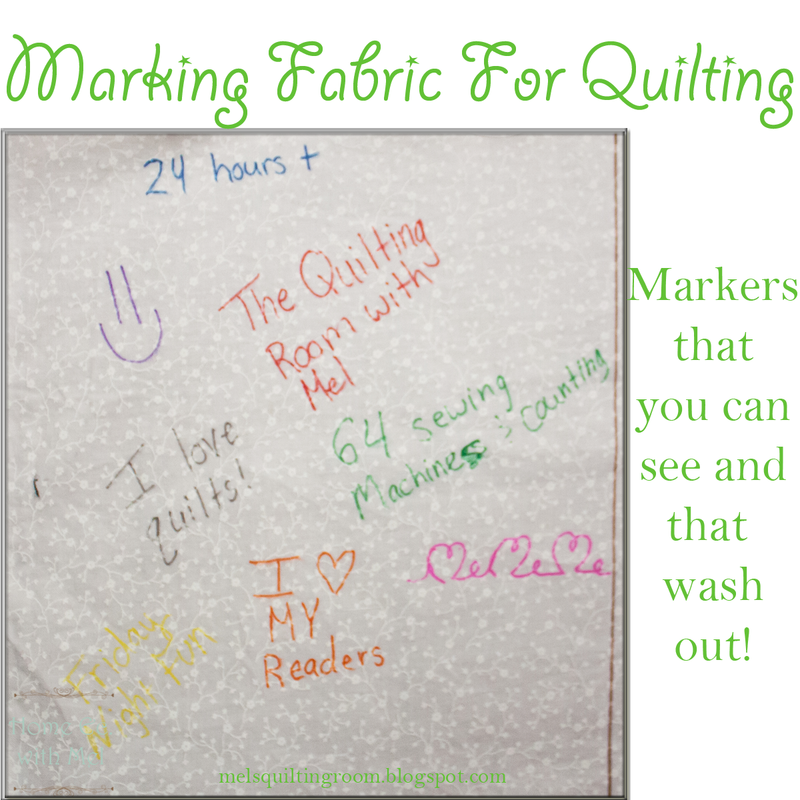 I think I've tried just about every fabric marking tool on the market. I have quilter's chalk pens, I have chalk pencils, tailors chalk, marking pencils, etc. 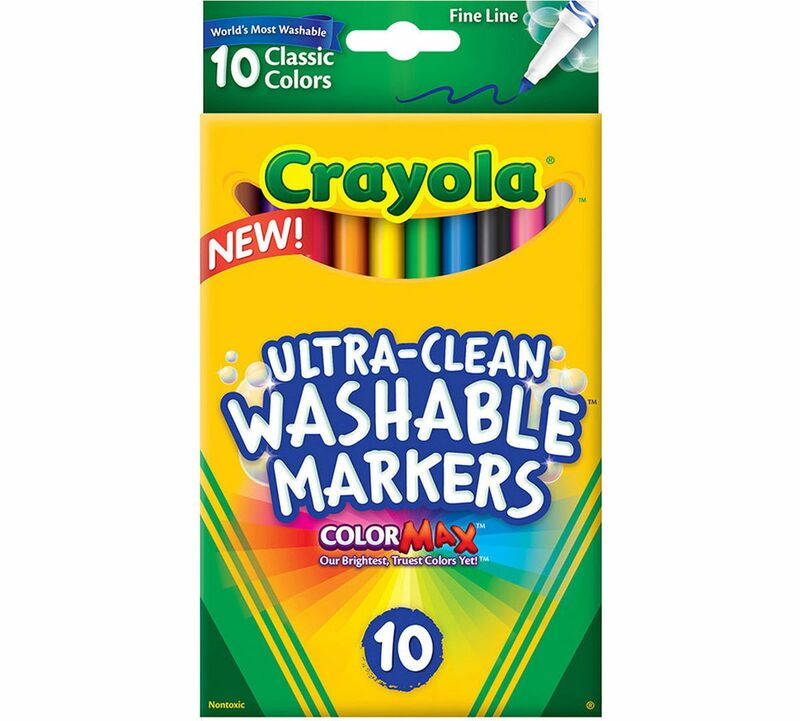 Half the time they don't wash out, you have to use the eraser that comes with it, or you have a mess by the time you get done marking. I've been on the search for something that works and I think I found it. Thanks to messy kids. This post may contain affiliate links. Purchasing items from the links cost you nothing more and adds a few pennies to the fabric budget. So the grandkids were over and they were drawing with their new markers. One of them drew on themselves and I got a little upset. Not at the kid, more about the fact his parents had just gotten him the shirt and I somehow let him draw on it. His mom though was OK with it. She said it would wash right out and that was why she bought the markers that she did. I had to know what kind of markers she bought. I was sure they were something special, something I had never heard of, they were magical right? No. They were just Crayola markers. 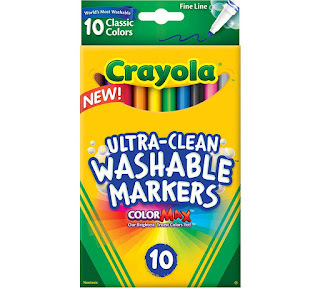 Ultra-clean washable markers found in just about any store. I had to test this out so I bought myself a box know if it didn't work I had markers for the kids. At first I just drew on a scrap and hand washed it. It came out. So I went all in, white fabric. All the colors in the box, ironed some of it, sewed over the lines, starched the fabric, left it sit for a couple of days, and I washed it in the washer with just Tide. So how did it work? I'll let you be the judge. NOTE: Even though I tested many scenarios please test before using. 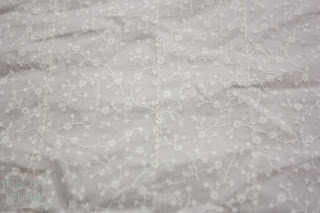 I started with a piece of white fabric from my stash. This is a white on white print that's 100% cotton. It was not pre-washed. One of the things we noticed with chalk is it may washout just fine if it's not sewn. Sewing over it seems to lock the chalk in or the chalk dyes the thread I'm not sure, so I made sure to sew over some of the lines. 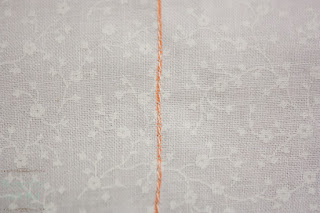 We all know heat sets stains so I also ironed some of the lines, several times to make sure it was set. I used every color in the box on this piece of fabric. Into the wash it went, with other stuff, normal settings. Nothing special except I do 2 rinses on my laundry. I waited on pins and needles waiting for it to get done because I just had to know how it was going to come out. It's white!! No trace of color left on the fabric. I was sold at this point. I knew there was more testing that would be needed. I know a lot of quilters starch their fabric so that had to be tested. I also know that sometimes we can't get back to something right away. So I needed to set up another test. I used the same fabric so this time it was pre-washed. You see I got a little more creative this time. If you look at the line by the starch side you'll see that it bled it a little. I had divided my fabric into three sections before I sprayed my starch. The starch caused the line to bleed a little. I set this aside Friday night with the full intention of washing it out Saturday night. Well that didn't happen, it was Sunday night before I remembered. So it got more like 48 hours instead of the planned 24 hours. Still white and still wrinkled, really why can't it come out of the wash not needing an iron? I was a little nervous about this one. Starched on one end and left for two days on the other if any of them weren't going to wash out it was going to be this one. But it washed up just as well as before. I used all 10 colors and as you can see the yellow didn't show up well at all. These won't work on black fabric and there may be some dark fabrics that they won't show up on either. Those are things most marking pens have issues with. Never miss a post from The Quilting Room sign up now to get new posts delivered to your inbox each morning! You can also find me on Facebook, Facebook Group, Twitter, G+, YouTube and Instagram. Good to know! Thanks for doing all the testing!! Wow, this is awesome! Thanks for doing all that testing Mel! Interesting!! Thank you for the tip. Thanks for stopping by and sharing with us at Merry Monday. I’m all excited about fall and can’t wait to see all the fall food and projects at the new party starting tonight! Thank you for doing all this testing for us. Sure saved me time. Awesome!! Thanks for sharing at #HomeMattersParty hope to see you back!